Breakfast lovers are often divided into two distinct groups: team sweet and team savory. Those with a sweet tooth would like nothing more than to start each morning with pancakes (covered in syrup, of course) or pastries, while fans of savory fare would much prefer a hefty serving of bacon and eggs. Now, there are two new breakfast cereals that are here to bridge that deep divide — and they'll be available at Walmart starting this March. World, meet Post's Chicken & Waffles cereal. Crispy fried chicken served on sweet waffles is a pretty familiar concept for most brunch lovers, but now it's available in extra-crispy cereal form. According to Post, the new cereal not only tastes like the classic Southern dish (it's a little sweet and a little salty) but the cereal pieces are actually shaped like mini drumsticks and teeny, tiny waffles. @jjlkfi oh for sure! Chicken and Waffles! Together! I love them. In cereal? Different, but I'd try it. Unfortunately for true devotees of this classic dish, there is no actual chicken in the cereal. But that's good news for vegetarians who want to dig into this sweet and salty breakfast treat. 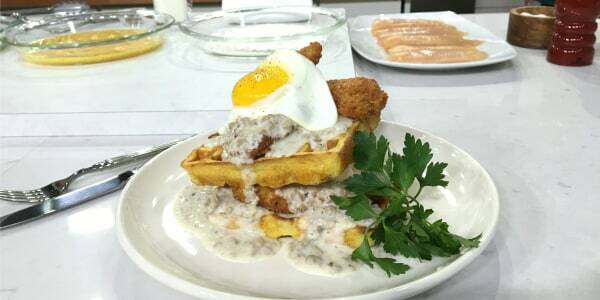 Chicken & Waffles cereal isn't the only food-inspired breakfast item on tap. The brand is also launching a Maple Bacon Donut cereal, which will also only be sold exclusively at Walmart. This cereal is actually shaped like doughnuts, too, and Post promises a touch of smoky bacon flavor in every bite. Maple and bacon is a pretty classic combo already (you've got to try Al Roker's original Maple-Bacon Cupcake recipe! ), so the internet isn't really freaking out that new box. 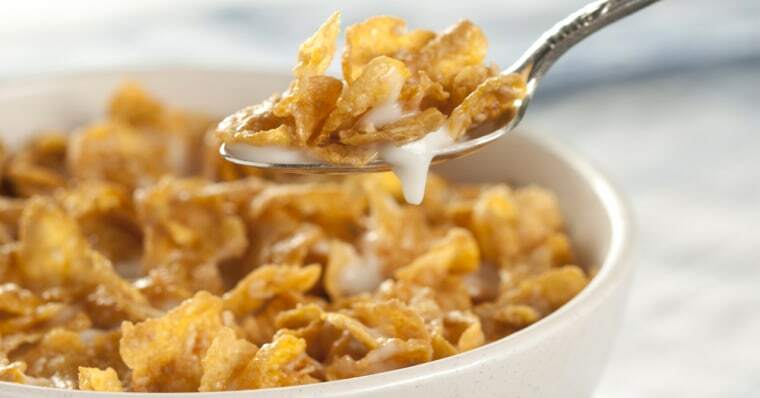 The two sweet and slightly savory cereals will be available at Walmart stores starting March 7, which just happens to be National Cereal Day, and they'll only be around for a very limited time. Each box retails for $2.98.